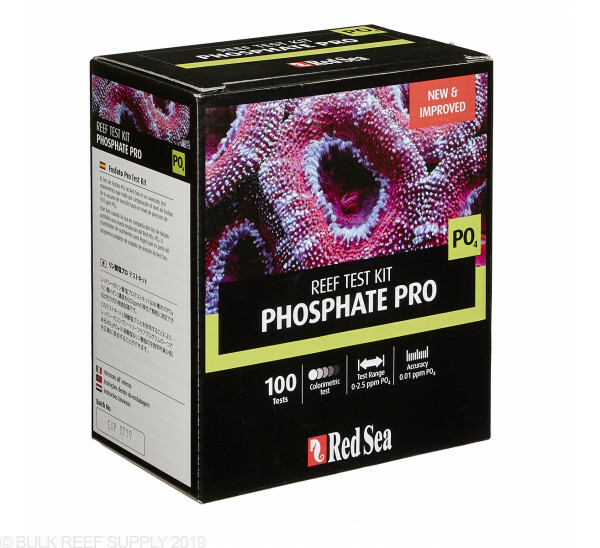 High phosphate levels will slow coral growth by preventing skeletal growth and feed algae growth. 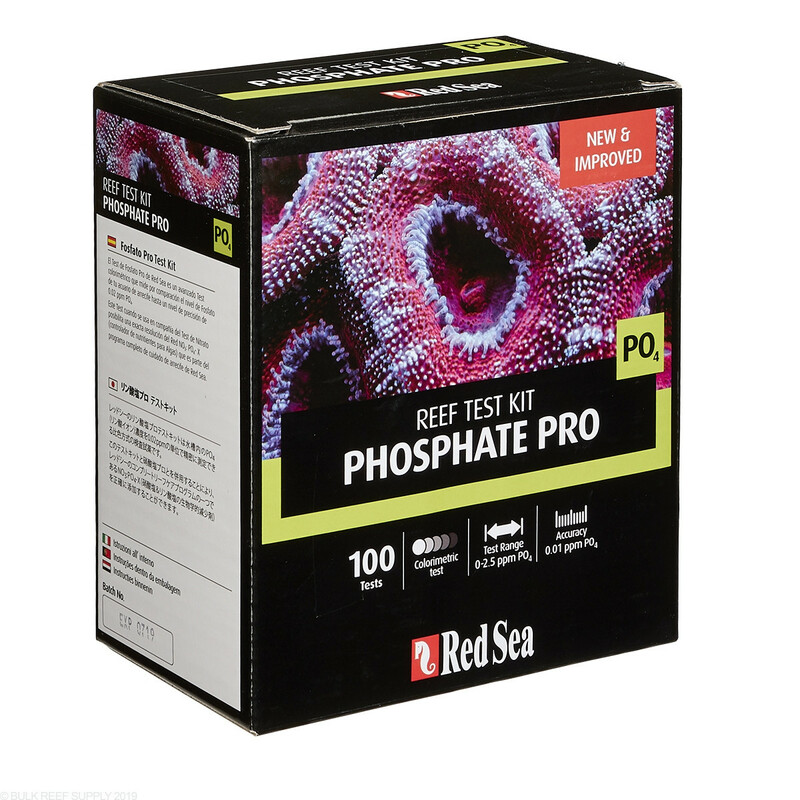 Maintaining ultra low levels of phosphate will increase coral growth and help prevent algae outbreaks. 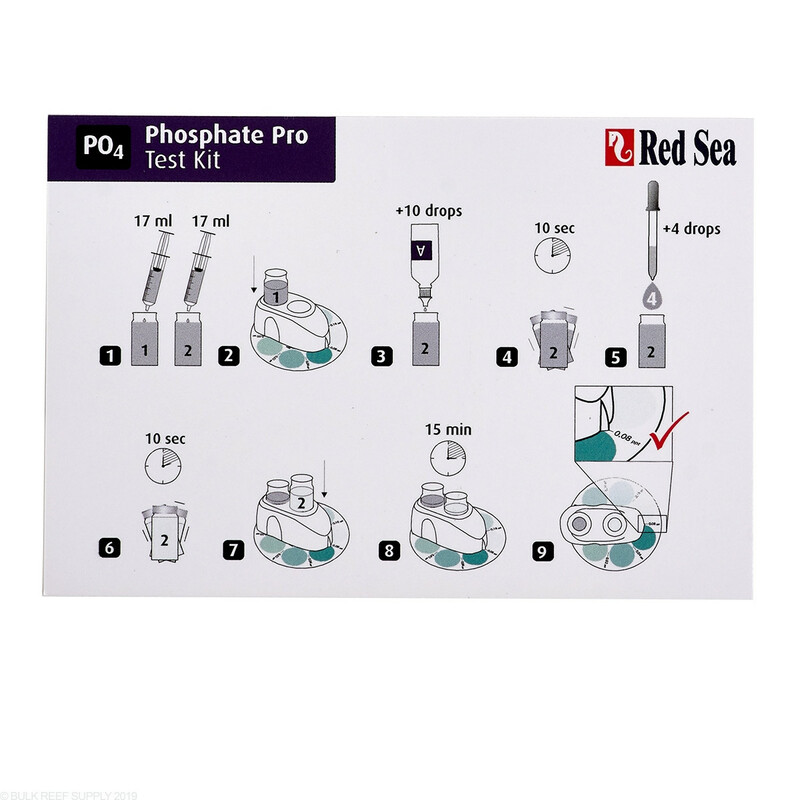 Red Sea produces an algae management line of test kits including nitrate and phosphate test kits. Providing an accurate measurement of these elements allows for proper dosing and control of algae nutrient levels. A successful coral reef aquarium depends on how well you maintain the water parameters which are the key to a stable coral environment. Using Red Sea test kits will allow you to accurately measure these levels and guide you on your path to reefing success. 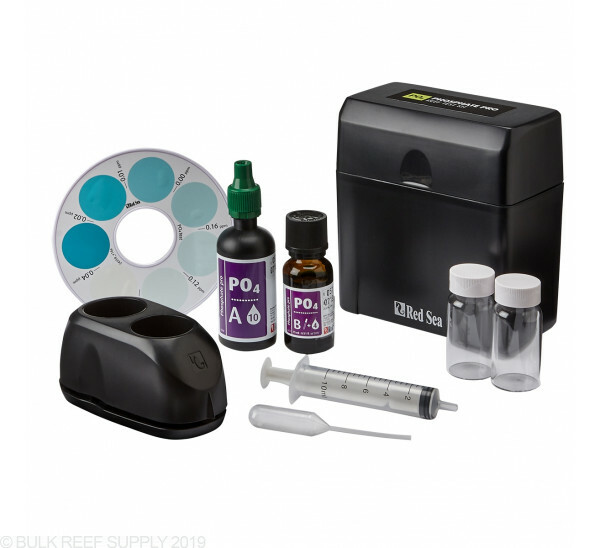 Ok I had an issue with this test kit where it would constantly read 0.08 no matter how or wen I tested the water... it wasn’t red sea’s error, however it was mine and I guarantee others will have had the same issue!... like other test kits I would match the colour of the sample to the chart and take whichever colour best matched as the reading, however after some time I decided to fully re read the last few points on the instruction manually which tell you that the point on the opposite side of the plastic vial holder is your true reading!!..... this threw me as 1.i didn’t clearly read the instructions fully and 2. I just assumed the test kit worked the same way as most others, I was wrong... it was my error not red seas error as the instructions are quite clear!!.. I’ve since bought a hanna checker and this kit is accurate compared to it!.. I've been using this about 3 month doing weekly tests. Yes like others have said the colors on the wheel and sample are a little off, but many test kits are that way. Although It is still easy to figure out where it is reading. Much easier to use than titration kits. All results are about the same as my Hanna Checker. Kit arrived with test color charts and instruction all nasty with leaking reagent. I had to rinse and dry everything out, but the color stains remain. Test is very complicated and results are hard to read. I use the Hanna ULR and this kit to check PO4. I started with the Hanna and was frustrated because the test-retest reliability is very poor for me and I end up taking three readings and averaging. The Red Sea is actually easier to test with fewer steps. The color wheel at the low end is very tricky to discriminate the colors, but with some practice works well. I am still trying to find the correct lighting for accurate color reading. When tested with the Hanna the readings are almost identical. The Red Sea does not distinguish measurements as finely as the Hanna as the color variations double the readings with every change in hue (e.g. .0, .02,.04,.08,.16,.36,.64). If my phosphate was higher this would be frustrating to me, but at the low end, between .0 and .08 I don't think it is a big deal. An example of how the two kits relate to each other, tonight the Hanna (tested 2 times) read 0 and .01, the Red Sea was consistent at somewhere between 0 - .02, with great difficulty deciding between the two, so probably .01? At any rate, I have never gotten a reading as high as .08, so I don't know why others are having a problem with that. For me, I am very happy to have this kit and use it regularly. Same as the other users I cannot get this kit to read below .08. At the time I tested (and retested and retested and retested) I was running GFO and growing macro so I decided to pick up a Salifert kit and a Hanna checker just to be sure. Of course both pulled "0" readings. I usually love Red Sea stuff, but this kit is a big fat miss. I should of wrote a review back in 2012 when I bought this test kit but i did not. Long story short, it's really difficult to tell the color wheel from the sample-that itself, is unacceptable for me. Also, I would not mind if the test kit used so much comparative samples to accurately determine the correct end result, unfortunately, this test kit is a time waster and a wallet sink. Gen 1&2 are a total fail. I've used this weekly for the last 3 month and it reads .08 every time. I know for a fact my water is not more than .04. If anything I have a difficult time to maintain .02-.04 for sps coloration because of the reactors I'm using. Garbage test kit. Some of the older kits were sold with a bad color wheel. This has since been corrected. 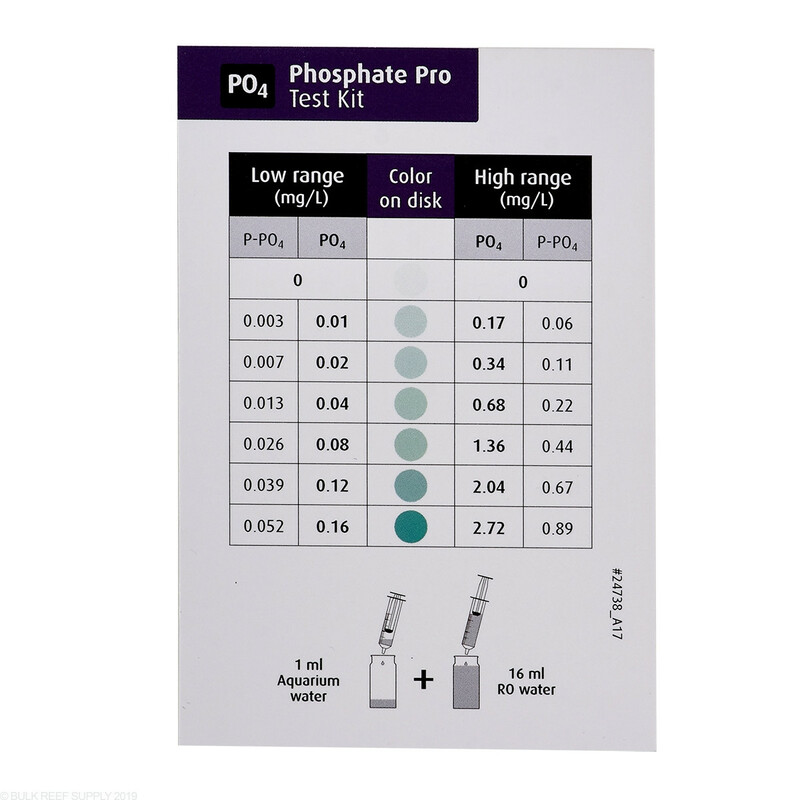 Very easy kit to use; though it can be difficult to tell the difference between the colors at the lowest of PO4 levels. Every thing I have tested all read .08 . My tank water- Fresh made salt water- Natural seawater- 0 tds rodi water. Like others on here have mentioned, this test kit is not accurate. I obtain readings of .08 to .16 when it should be reading zero like on freshly made saltwater, RODIwater, and the water coming out of my gfo reactor (fresh gfo just installed before taking the reading). I bought this kit. I always got a reading of 0.08 on my display tank, gfo reactor output, and my r/o output with brand new filters. I told my lfs who communicated with red sea. They sent me a new set of reagents a and b. Guess what. EVERYTHING READS 0.08 AGAIN. Red Sea has bad quality control. Never will buy a red seak kit again. 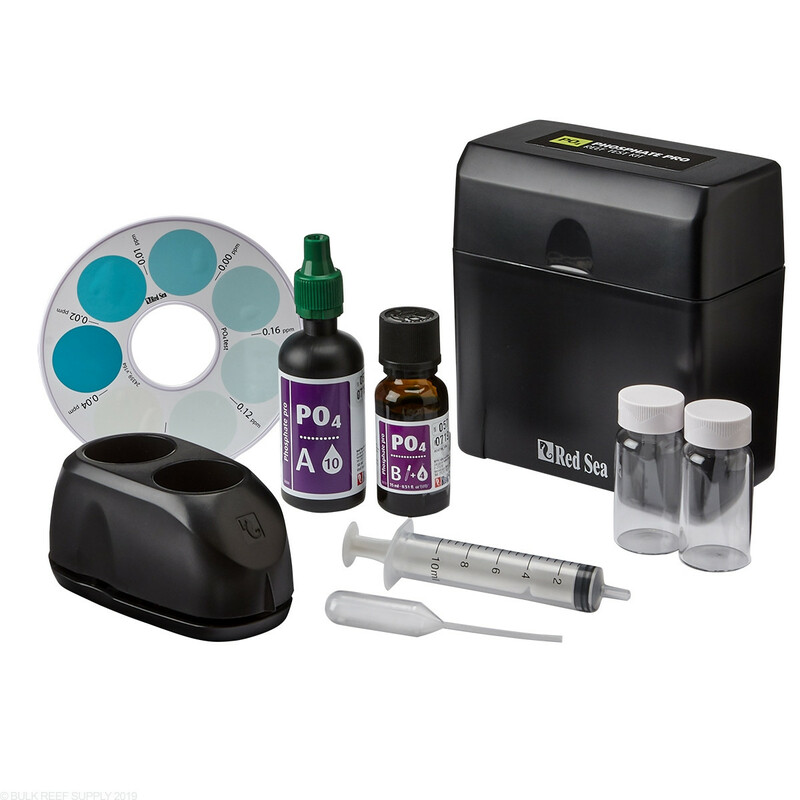 Just purchased this product, whats the difference between the hi resolution and regular test, does it matter which one i use,also my reading is 0.16 ppm, is that ok ? 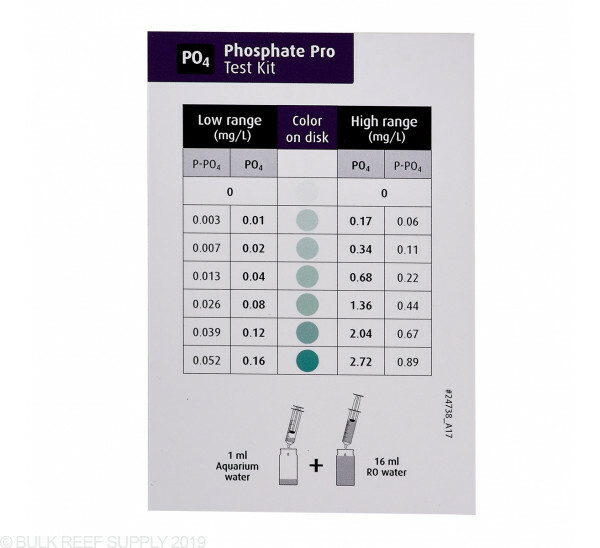 I just realized that the goal is not to achieve zero phosphate, I read you do still need some in tank for corals 0.02 ppm is what I read is this the case.